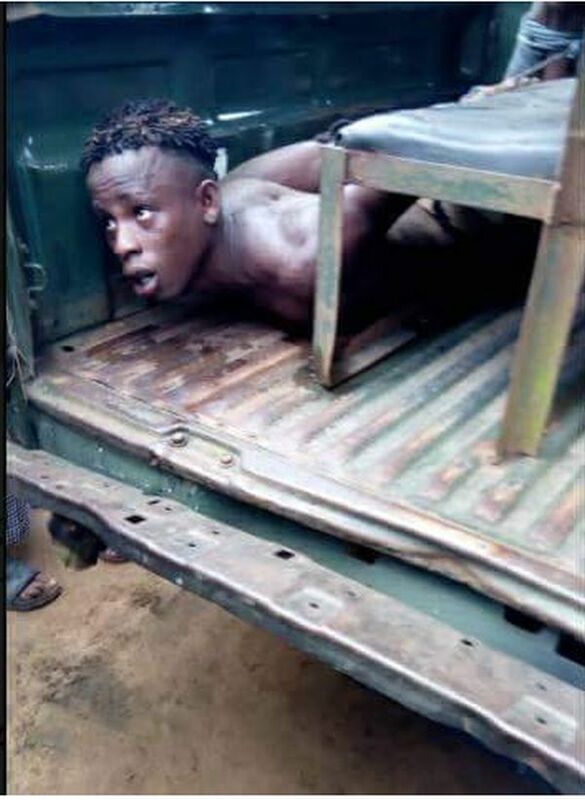 Police officers have arrested a young man identified as Agaezichi Ogbonna, who allegedly killed his mother over a love affair with a blood relative at Akpaa Mbato community, Obingwa council area of Abia State. According to reports, the 22-year-old suspect was said to have been having a love affair with his mother’s sister, but his mother, Blessing, warned against the relationship, describing it as a taboo in Igbo land. On the fateful day, Obinna had allegedly spent the night with his lover. Sighting the lover while she was leaving on Saturday morning, the late Mrs. Chinyere Ogbonna raised alarm calling the attention of the community to the sacrilegious relationship her son has been keeping with a blood relative, being a native of his maternal home. This however did not go down well with Obinna as he was said to have jumped out of the room, landed his mother the late Chinyere Ogbonna several punches on the face and all over her body which threw her into coma. She gave up the ghost on arrival to a nearby medical facility.